curriculum with real-time data assessments that to help them achieve academic excellence. Students receive personalized instruction using our dynamic curriculum with real-time data assessments that to help them achieve academic excellence. When students build new information onto what they already know, they are set up for success in their community, culture and for life. In order to realize our mission, ICS will emphasize Reading, Math and Technology as core instruction. Reading is the most critical component to academic and life success. ICS students will receive 135-165 minutes of daily reading instruction to ensure all students are at or above grade level. Math is essential to business, finances, physical sciences, biology, medicine, social sciences, and technology. It develops and supports thinking, reasoning and problem-solving skills. Technology will be used as both an instructional tool within our technology-rich learning environment as well as a stand-alone class. Our technology-rich learning will ensure students understand computer operation, parts, digital citizenship, coding, and research skills. Technology is both an instructional tool as well as a stand-alone class. Our technology-rich learning ensures students understand computer operation, parts, digital citizenship, coding, and research skills. Innovation Charter School provides a technology-rich learning environment so that every student gains the necessary skills to excel in the digital world and to allow students to achieve content mastery. Rotation models involve teacher-led instruction, group interaction, and technology-rich learning and activities. Teachers assign supplemental online instruction that ensures each student masters the skill and content being taught during face-to-face instruction. ICS implements both differentiated instruction, where teachers provide instruction to groups of learners based on ability levels, and individualized learning, where the teachers, with the assistance of technology and real-time data, can customize instruction based on the needs of the individual student. To ensure the outcomes of our educational program and curricular objectives are met, ICS will continuously use formative and real-time data to illuminate the instructional path. Based on data results, modifications are made to curriculum to promote student mastery. Baseline data assessment (NWEA’s Measure of Academic Progress assessment) is administered throughout the year. This provide teachers with information on student progress in Math, Language, and general Science. The MAP is administered three times a year, with progress continuously monitored by staff and administration. Technology is incorporated into our daily instruction, giving students the hands-on, practical teaching a real world environment demands. This method also enables teachers the opportunity to gauge a student’s comprehension of a subject in real-time. With the immediate feedback technology provides, teachers adapt their teaching to accommodate individual learning styles and pace courses to ensure students understand what is taught. Innovation Charter School provides technology-rich learning environment—so that every student gains the necessary skills to excel in the digital world and to allow students to achieve content mastery. 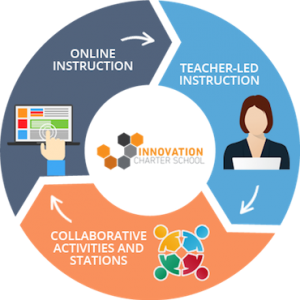 Our model of instruction entails teachers assigning supplemental online instruction ensuring that each student masters the skill and content being taught during face-to-face instruction. ICS will be implementing both differentiated instruction, where teachers provide instruction to groups of learners based on ability levels, and individualized learning, where the teachers, with the assistance of technology and real-time data, can customize instruction based on the needs of the individual student. While research-based selection of texts, software and programs combined with other cutting-edge technology tools set the stage for learning with Core Knowledge®, the rotation model reinforces student learning. To ensure the outcomes of the educational program and curricular objectives are met, ICS will continuously use formative and real-time data to illuminate the instructional path. Based on data results, modifications will be made to curriculum to ensure student mastery. Baseline data assessment such as NWEA’s Measure of Academic Progress assessment, an adaptive, norm-referenced assessment that is aligned with the Florida Standards will be used throughout the year. It will provide teachers with information on student progress in Math, Language, and general Science. The MAP will be administered three times a year, with progress continuously monitored by staff and administration. GO Math! combines 21st-century educational technology with modern content, dynamic inter-activities, and a variety of instructional videos to engage today’s digital natives. 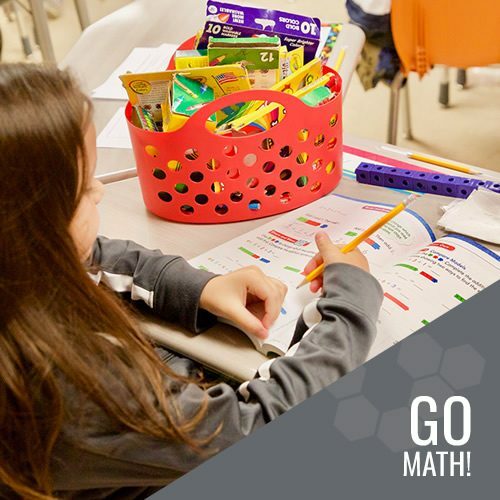 Every student is supported through the universal access features of the program as they learn to think critically and apply their math knowledge. Whether using the innovative Online Student Edition or Write-in Student Edition, students have all the resources they need to succeed. GO Math! emphasizes rigor and depth, supporting the principle of conceptual math. Conceptual math is the understanding of mathematical concepts, operations, and relations. It is not just rote memory of how to do a math operation. It is discovering the whys and/or hows behind the operation and being able to explain them, either verbally, by using manipulatives, in drawings, or by any other way that supports the student’s learning style. Some of the features of GO Math! are math boards for every student, Grab n GO Math! centers, interactive whiteboard activities, videos, i-Tool, Destination Math, Mega Math, math talk prompts, differentiation ideas, and on-line intervention. Other resources include assessments, benchmarks, integrated curriculum maps, and teacher podcasts. The core textbook series used at ICS is Journeys Common Core published by Houghton Mifflin/Harcourt. 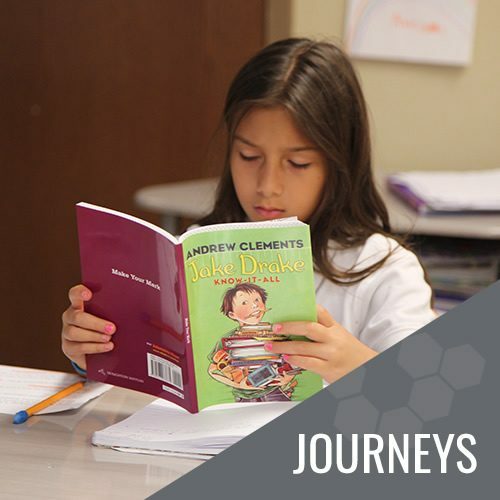 Journeys Common Core is a core reading program designed to meet the diverse needs of all students from Kindergarten through grade 5. Within each Journeys lesson, Common Core State Standards (upon which the Florida Standards were derived) lessons are embedded, promoting student engagement and ownership of learning. By integrating the standards into every lesson, the program enables educators to engage and educate students effectively and efficiently and ensures learner success. The program provides teachers the resources needed to plan and assess student progress toward standards mastery and makes navigation between whole- and small-group instruction efficient and effective. It is a comprehensive instructional program that also focuses on close reading skills, repeated reading of a variety of complex texts, and the development of academic vocabulary. The curriculum features supplementary programs and a full suite of mobile learning resources that integrate into our technology-rich environment. The curriculum provides: digital learning, interactive whiteboard activities, guided reading and leveled readers, intervention materials, model lessons for teachers, and assessment and performance tasks. At ICS, we believe that developing character and work ethic is equally as important as learning the Florida Standards. That’s why we choose to use the Responsive Classroom approach. Responsive Classroom is an evidence-based approach to education that focuses on the strong relationship between academic success and social-emotional learning (SEL). The Responsive Classroom approach empowers educators to create safe, joyful, and engaging learning communities where all students have a sense of belonging and feel significant. 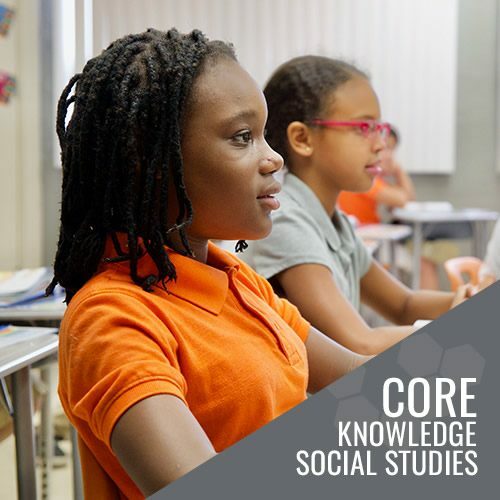 The Core Knowledge® Social Studies sequence introduces concepts that are important for everyday American life like World War II, ancient civilizations, imperialism, and the roots of Western, Eastern, and New World societies. The Core Knowledge® social studies curriculum presents a coherent, cumulative, and content-specific core curriculum. As students progress through the grades the curriculum spirals back on previous concepts to provide reinforcement and deeper understanding. An example of this spiraling is that students in second grade learn about Ancient Greece and its contributions to Western Society. Then again, this concept is covered in fifth grade, but students go more in depth and learn about Ancient Greek philosophers. Each grade level will select one big civilization for its culminating event. In fourth grade, teachers will use the medieval period for their culminating interdisciplinary unit. The feudal system and monarchy will be compared and contrasted to American government which is the fourth-grade primary social studies emphasis and its emphasis on our state’s history and place in U.S. history. Science Fusion is a comprehensive science program based on inquiry learning and hands-on experiences. This K-5 curriculum integrates the Florida Standards as well as meets the National Education Standards. As science is an exploration of the processes in our world, the curriculum is intellectually rigorous. It highlights scientific inquiry while investigating the attitudes and social values related to the same so as to encourage students to be prepared for the needs and challenges within the field of science in the 21st Century. An inquiry-based, student-centered approach to learning develops student curiosity regarding the world around him/her. 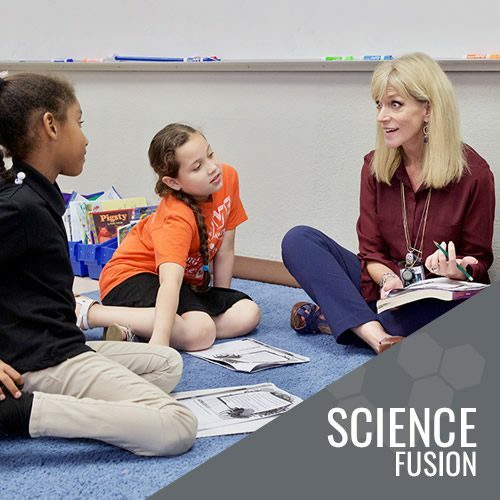 Science Fusion is a print and digital curriculum that provides multimodal options for teachers to engage students in an exciting investigation based learning. It provides real-world challenges, hands-on activities and Video-Based Projects that develop important critical thinking skills that will prepare students for success in the workplace and in life. 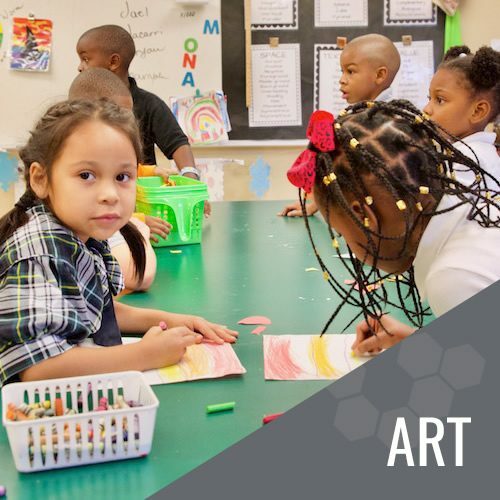 Pablo Picasso once said, “Every child is an artist!” It is our desire that each student will discover personal style while studying the elements and principles of art. Art is an important aspect in developing a young one’s mind and building their character. Students will learn how to draw with different tools, which is essential to improving their fine motor skills. They use descriptive words when analyzing art, building their confidence and understanding of the world around them. Kids are encouraged to express themselves and take risks in creating art to develop a sense of innovation. It has been proven, young people who participate regularly in the arts, are more likely to succeed academically than those who have not. 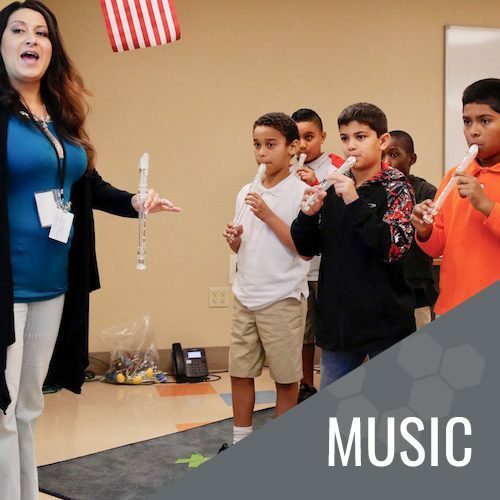 Musical theory and Instruction provides a much-needed component of confidence, expression and mental development that promotes a creative environment within which students flourish, grow, learn and develop cultural experiences. From these experiences, students build knowledge and understanding. Music is an avenue for learning and establishing skills required for musical expression and creativity. Students learn simple rhythms, movements, composers, sounds, dynamics and how to properly warm up and sing. Physical Education is an integral part of learning as children acquire skills in healthy living and choices. 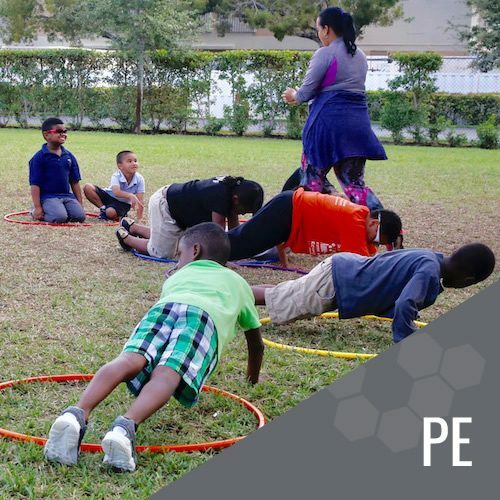 They also have an outlet for displaying energy and physical activity in group collaboration, learn how to work as a team, and apply academic skills in calculating scores, playing games from certain time periods, and/or develop further their fine and gross motor skills. Physical activity can improve both attention and brain function, helping kids concentrate better in class and improve their academic performance.